Advancement in Scouts is achieved by moving up the ranks and by earning merit badges. The ranks in order are: Scout, Tenderfoot, Second Class, First Class, Star, Life and Eagle. 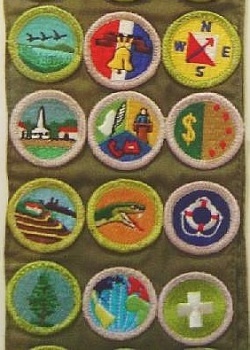 Merit Badges are awards earned based on activities in a particular area of study or interest.